Home > Suzuki V-Strom 250 > Is this what the Suzuki V-Strom 250 might look like? Is this what the Suzuki V-Strom 250 might look like? 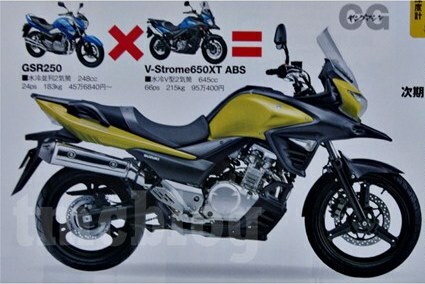 THIS is what Suzuki’s rumoured V-Strom 250 might look like, according to a Japanese magazine. Young Machine, which has recently been churning out renderings almost faster than we can keep up, has printed this image in its latest issue. The bike is supposedly heavily based on the Inazuma 250 platform - using its engine and styling combined with features borrowed from V-Strom 650 XT. 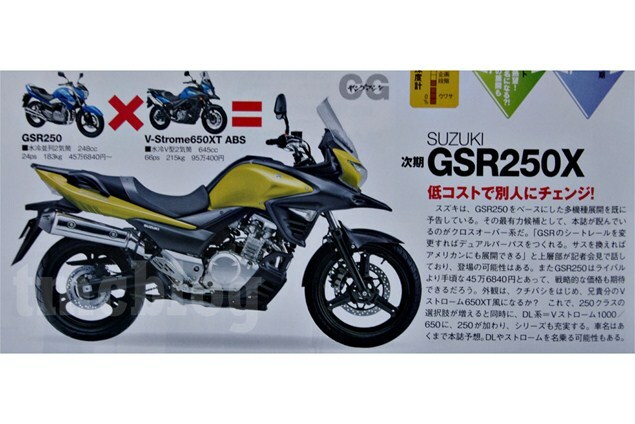 The bike is called the GSR250X, but we think it's likely to be called the V-Strom 250 in Europe. It is rumoured that Suzuki will be showing the bike at the upcoming Tokyo Motor Show.